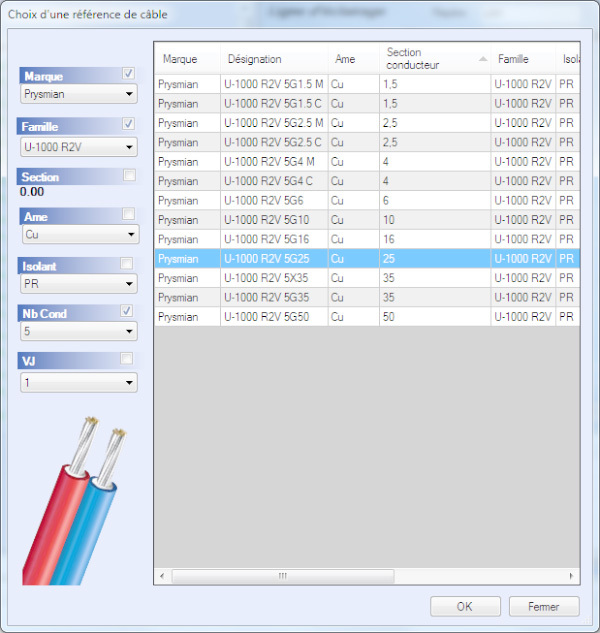 As a lighting software, elec calc™ EP includes a database of manufacturers’ catalogues for all the needed equipment for the design of a lighting installation: cables, protections, lamps, lanterns… This database, shared by all Trace Software solutions (elec calc™, solar calc™, etc.) is continuously updated and enriched. Trace Software pursues indeed a double objective: continuously improving time gains in the design and sticking as closely as possible to professionals’ needs. Trace Software also benefits from a technological partnership with its sister company TraceParts, worldwide leader of 2D-3D digital content for the engineering. In the creation phase of a project, the user chooses in the project manager either to input the exact references or only the type of lamps. The lighting software elec calc™ EP includes standard references as mentioned in the NF C17-205 standard. In the absence of reference for a specific equipment, these allow to input a real consumption to be in a position to make a current balance and to check the right choices of the cables and protections. Thus on a lamp, elec calc™ EP offers a default reference in order to process to dynamic calculations. elec calc™ EP can also be used as a simulation tool with valued chosen by the user without specific references. elec calc™ EP automatically pre-filters the choice of references in order to match the user’s needs and avoid displaying too many references: it only displays those that are most frequently used by the user, or automatically limits the list to the most adapted references according to the context and to the technical characteristics. The user can nevertheless choose to widen the posted list, for example by incrementing the technical values. In case of inappropriate equipment, an error message highlights the anomaly to be corrected.